The Victim/Witness Unit maintains the right of victims and witnesses to be treated with dignity and respect during the course of the criminal proceedings. We recongize the vital role of victims and witnesses in making the criminal justice system work within our community. We strive to ensure that their concerns, interests, and needs are represented and protected. Notice of the opportunity to have prior comment on the potential reduction or dropping of any charge or changing of a plea. Coordinators will attend preliminary hearings whenever possible to provide services to crime victims. In general the initial contact with victims occur when the Victim/Witness Coordinator screens the case. The contact can be made by mail and/or phone. 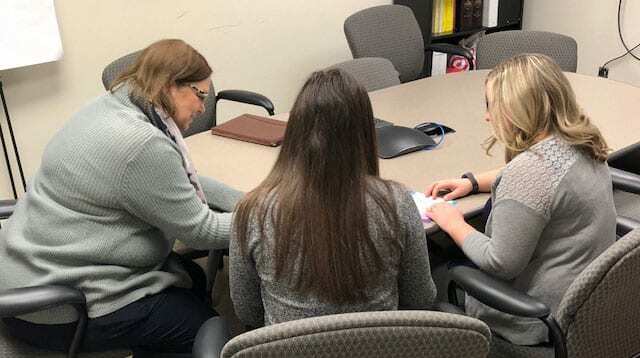 Victims are sent a packet of paperwork that includes, information on the victim’s rights, an impact statement, restitution form, a victim response form, and when applicable a Crime Victim Compensation application. Coordinators are responsible for contacting victims with information as to when to appear for a criminal trial. Disposition letters with sentencing information are sent to all crime victims. Additionally coordinators provide information to victims regarding post sentence appeals filed by a defendant. The Statewide Automated Victim Information and Notification System (SAVIN) is available to anyone who wants to know when an inmate is released from a county or state prison. Registrations are anonymous and can be done on line or by phone. The web site to register is www.vinelink.com or toll free at 1-866-847-1298. OVA services include, but are not limited to, information and registration for notifications regarding offenders serving state sentences, Address Confidentiality Program, Inmate Apology Bank and Victim/Offender Dialogue Program. If you have any questions or need assistance to register, please call our office at 717-771-9600 ext 3412. Victim/Witness Coordinators are assigned by the Judge assigned to the specific trial team.